Gourmet vanilla caramel. 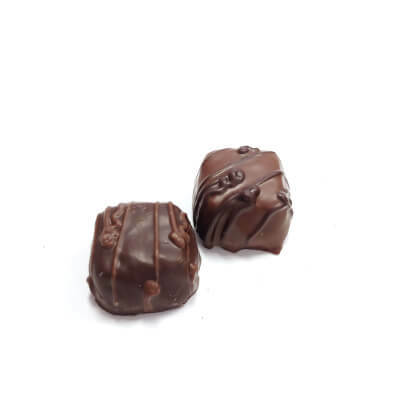 Classic vanilla flavored caramel smothered in milk or dark chocolate. White chocolate is out of stock. Pearls .5 lb box.